A research study was conducted by Heliospectra’s Plant and Light Experts on the effect of a Far-red enriched spectra on Black-Seeded Simpson. 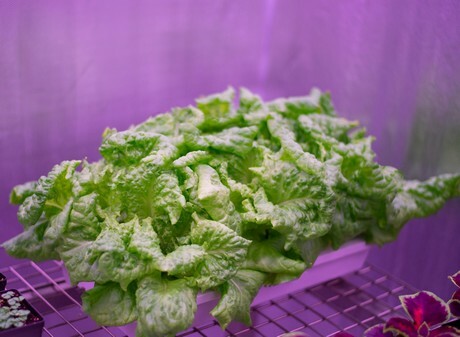 The purpose of the research was to study the effect of Far-red enriched spectrum on lettuce in a sole-source light environment. The research was conducted in Heliospectra’s plant lab using Heliospectra’s fully adjustable Elixia LED grow light. The lights have the ability to control and monitor provide growers with full control over the composition of the spectrum, intensity, and duration, giving growers the possibility to create their own light strategies.